The Music Museum, the unique theater concept that chanteuse Kuh Ledesma introduced to the entertainment scene on August 8, 1988, celebrated its 30th anniversary on Tuesday, August 8, literally on the Music Museum stage. Staff led by Music Museum Group president Precy M. Florentino celebrated the milestone with Mass and a company lunch with employees, some of whom have been with the company since its very early days. Celebrities like Mitch Valdes, Nanette Inventor, Carlo Orosa, Zsazsa Padilla, Ryan Cayabyab, John Nite and Kuh Ledesma sent in video messages. The original purpose of the longtime concert place in Greenhills San Juan was to provide performing artists with a readily accessible venue that would showcase their talents, unhampered by stiff requirements dictated by hotels, the performance venues at the time. Performers of various genre welcomed its arrival in 1988, warmly and enthusiastically. Through the years a wealth of Filipino talent in music and the performing arts performed on the Music Museum stage. Lani Misalucha, Side A, Jose Mari Chan, Sarah Geronimo, Agot Isidro, Keno, the Neocolors, Julie Ann San Jose, Glaiza De Castro, Loisa Andalio, Maja Salvador, Baihana, KZ Tandingan, Mateo Guidicelli and Michael Pangilinan, Enchong Dee all had their debut concerts and first big concerts at the Music Museum. The Music Museum experience was and still is unique because it is like being in a cozy home where artists entertain guests in a big living room. It’s the only theater in town where guests can order food and drinks during a performance so they can dine, drink and feel right at home while being entertained. In 1989 Kuh sold the Music Museum to her friend Precy Florentino. Music Museum celebrations of its milestones were often marked by concerts that would last till dawn. 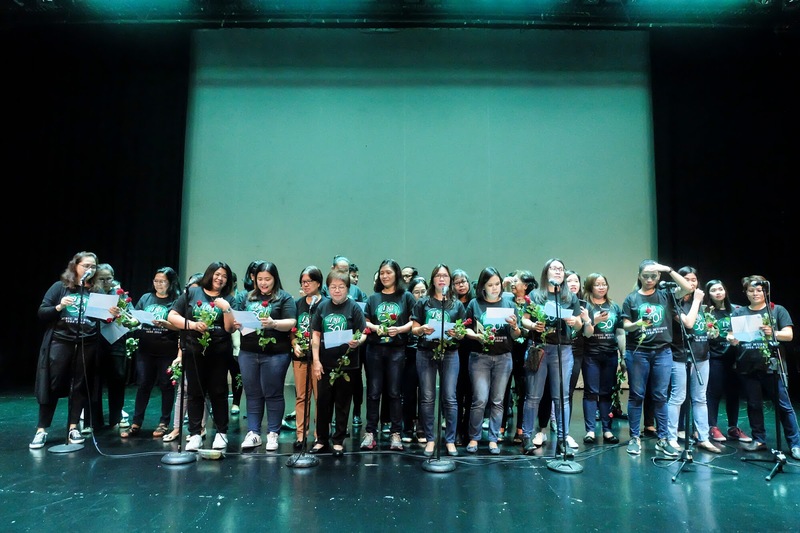 When it turned 10 in 1998, a 10-band concert rocked the Greenhills Car Park, while artists like the APO, Nanette Inventor, Kuh Ledesma, Ogie Alcasid, Geneva Cruz, Randy Santiago, Lani Misalucha, Nina, Dessa and Leah Navarro performed on the Music Museum stage. 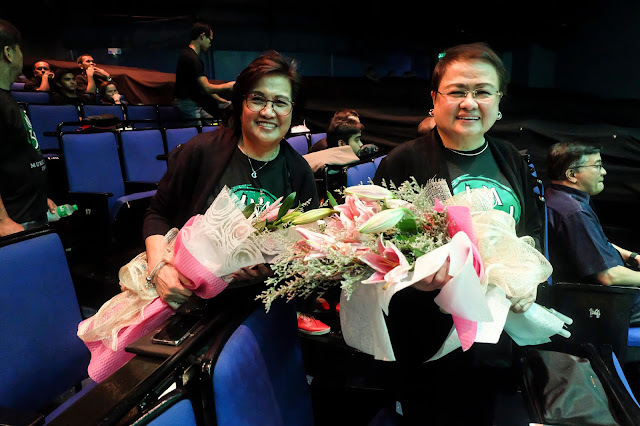 Music Museum President Precy M. Florentino and Vice President Rosie F. Mendoza receive bouquets at the intimate get together with Music Museum staff. When it turned 20 in 2008, the Music Museum looked forward by recognizing young talents -- Charice Pempengco (now Jake Zyrus), then 16, and Charlie Green, the Britain’s Got Talent winner, then 11 – as future stars. 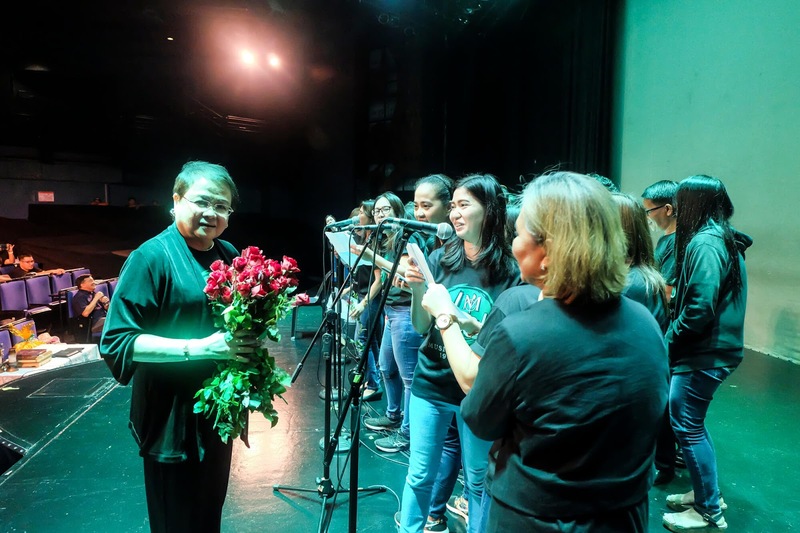 It partnered with The Music School of Ryan Cayabyab to discover musically talented kids via musical tilts Musmusikwela and MusiKabataan that awarded them musical scholarships. The 20th year was marked by a grand concert at the Araneta Coliseum called Divas 4 Divas, featuring four of the country’s best female singers -- Kuh Ledesma, Zsa Zsa Padilla, Pops Fernandez and Regine Velasquez. Precy Florentino is serenaded with songs and roses by the Music Museum Staff. When it turned 25, the Music Museum celebrated with an all-music-genres private concert, supported various artistic endeavors and launched its commemorative coffee table book. On its 30th year, Precy Florentino said the prevailing spirit is gratitude. 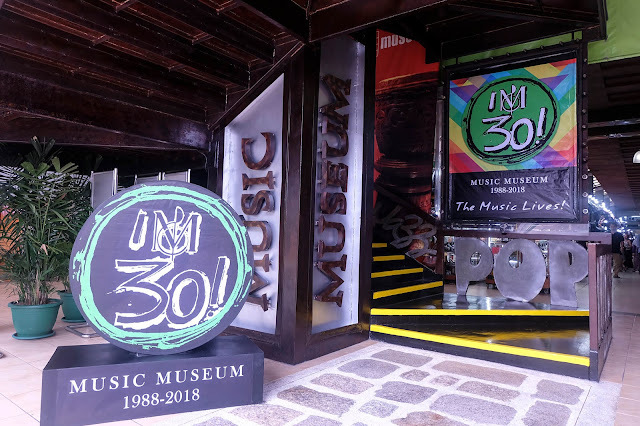 “The Music Museum looks back at the past 30 years with a celebratory attitude, Thank you to the fans and concert goers who have inspired us through the years and continue to inspire us to come out with the very best entertainment. To the artists who performed at one time or another at the Music Museum, you are its life and soul. You fill us with so much gratitude,” said Ms. Florentino. Music Museum staff perform a special number at the private celebration. The Music Museum is now a dining, shopping and entertainment complex called the Music Museum Group and includes Shoppesville Plus (a hobbyist’s and aficionado’s haven), Theater Mall (a hive of cinemas, shops, dining and coffee places), The Promenade (a level-up shopping place with lifestyle services, more dining places, and the most modern cinemas) and Teatrino (a favorite events place for launches, parties, and cozy performances).